Click to send e-mail to – JOSEPH E. KELLY, JR.
Joe’s practice has been dedicated to the service of the insurance industry and the commercial marketplace. 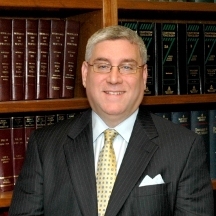 He has been litigating complex civil cases, including the prosecution and defense of coverage litigation on behalf of insurance companies and the defense of insureds in personal injury, commercial and other litigation. His experience includes a wide variety of complex business insurance claims and the attendant coverage related issues, arising from General Liability, Products Liability, Construction/Labor Law, Professional Liability, E&O and D&O exposures. A large portion of his practice involves the counseling of insurance carriers and/or their appointed third-party administrators as to their rights and obligations regarding potential risk transfer and exposures across the country.